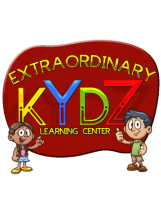 Extraordinary Kydz Learning Center is a licensed home based preschool and daycare program where we believe that your child deserves the very best in childcare. We strive to offer services that create a warm, caring, and rigorous learning environment. We work hard to stimulate young minds and provide a place for them to grow, learn, and play. We offer programs for children aged 12 weeks to 12 years old including Pre-Kindergarten, Before and After School, and our Edu-Camp Summer Program. Our affordable daycare offers bright and sunny rooms with lots of space for children to play, explore, and learn. We are nearby local schools which means getting to school in less time. We also provide hot and nourishing home cooked meals and snacks. Contact us today to discuss how we can best serve the needs of your child and help them to have a great learning experience! ​Our program is so great that we guarantee that you will see a difference in your child's academic performance!
" I like learning Spanish and going on trips!"